Mary is a third generation Ferfolia family member to serve families at Ferfolia Funeral Home. A graduate of Ursuline College, Mary earned her license in 1991. Mary enjoys speaking out in the community on topics related to the changing world of funeral service. 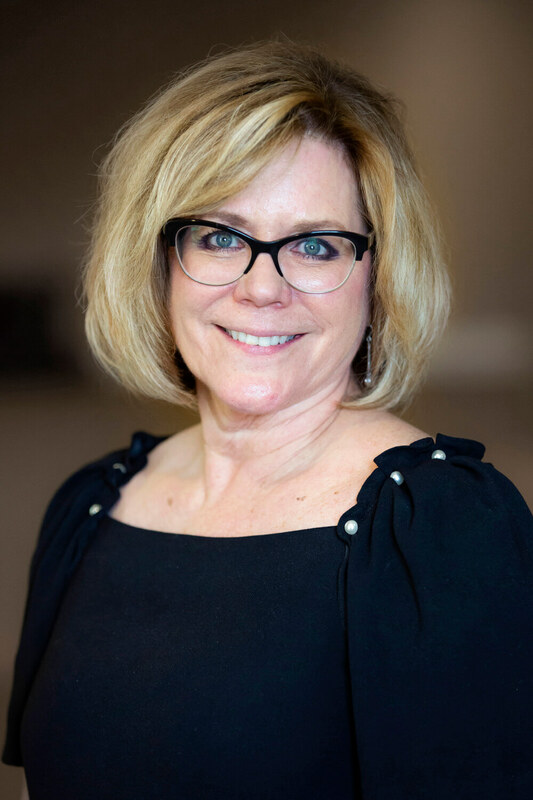 Currently, Mary serves as chair of the Advisory Board at St. Benedict Catholic School and is an active member of St. Martin of Tours Parish where she is a Lay Minister. Mary resides in Aurora and has four children. Allyson Newell Binekey who is the Business Manager for the funeral home. Megan Flyer, Colleen Newell and Jeffrey Lansky who heads up the multi-media department for Ferfolia Funeral Home. Mary is the proud Grandma of Donna and Madelyn. 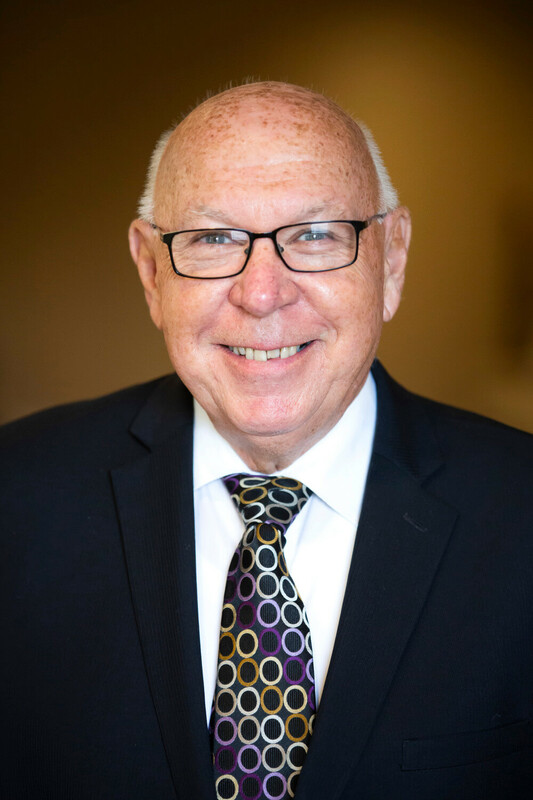 Don is the fourth generation of the Ferfolia family to serve families at Ferfolia Funeral Home as a Licensed Funeral Director. He is a graduate of John Carroll University and earned his license in 2001. While caring for families at the funeral home, Don continued his education at the University of Akron and earned his Law Degree in 2007. 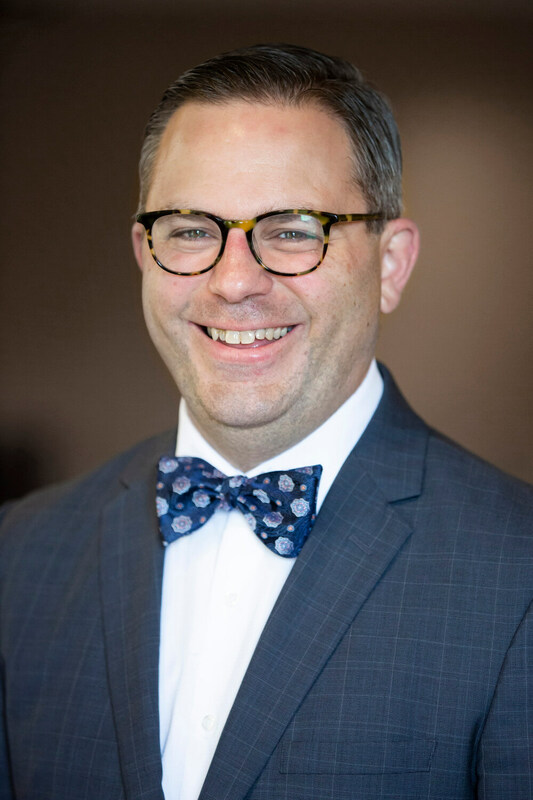 He was admitted to the Ohio Bar in 2007 and focuses his legal work on assisting families when settling a loved ones’ affairs, adding a unique dimension of service to families served by Ferfolia Funeral Home. Don also enjoys speaking to the community on topics that deal with funeral service and the legal questions surrounding the death of a loved one. Don and his wife Dawn are active members of St. Basil the Great Catholic Church in Brecksville. When not at the funeral home, Don and Dawn enjoy spending summer evenings and weekends following the Cleveland Indians and trying to figure out whether they rescued their two dogs or their dogs rescued them! Jack was born in Cleveland,Ohio and grew up in Maple Heights, Ohio. Jack earned his Bachelor of Science Degree in Mathematics from Cleveland State University and served in the United States Army. 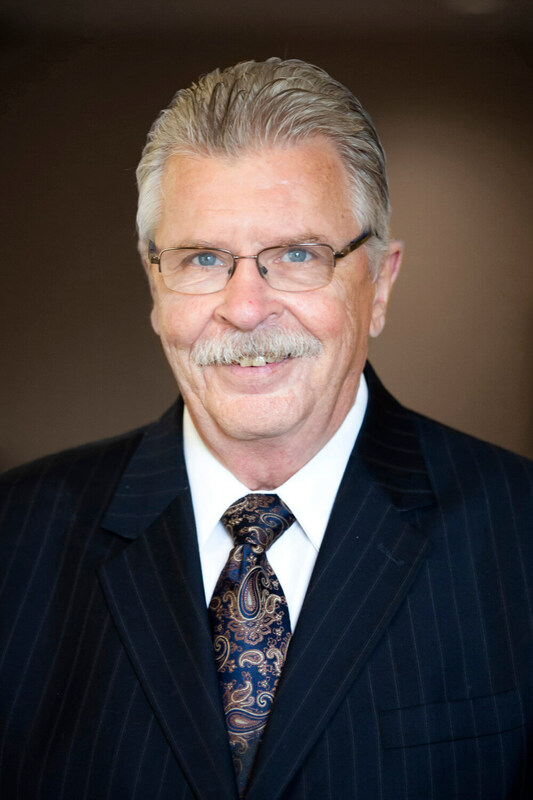 Jack began his funeral director career serving a two-year apprenticeship at Ferfolia Funeral Homes, Inc. He obtained his Funeral Director License in 1984 and continues to be a valued employee of Ferfolia Funeral Homes, Inc.
Jack has three children. Kelly is a practicing healthcare benefits/ERISA attorney; beloved Erin departed this world in 1987; and JJ is currently attending Medina Senior High School. Jack is an avid Cleveland sports fan and spent many years coaching youth baseball and softball in Maple Heights and Medina. Jack is an active member on the Holy Name High School Reunion Committee for his graduating high school class. Better known as “Wally” is a Licensed Funeral Director at Ferfolia Funeral Home since 1999. Wally began working at the funeral home in 1994 as a funeral assistant and became a funeral director’s apprentice in 1997. Prior to working at the funeral home,Wally worked with his father at Economy Floor and Wallcovering on Broadway in the Slavic Village neighborhood. He also taught English and Philosophy at Chanel High School in Bedford,Ohio. He attended St. Therese Grade School in Garfield Hts. where he grew up with his parents Walter and Eleanor, sister Patricia and brother Ralph. He attended Chanel High School and graduated from John Carroll University. Wally has been involved in music most of his life singing at St. Therese Church as youngster, then the band at Chanel High School. He led his own band performing at many weddings, dances,and parties for nearly 40 years before retiring from the band. He presently is the Director of Music and Liturgy, Choir Director and Cantor at Ss. Cosmas & Damian Catholic Church in Twinsburg, Ohio. Wally presently lives in Twinsburg with Darlene, his wife of 40 years. Darlene has been a Pastoral Minister in the Cleveland Diocese for 36 years and is presently ministering at St. Victor Parish. Walter and Darlene’s family consists of two daughters Melissa with her husband Scott Gardner, their daughters Mackenzie and Isabelle of Ravenna Twp., and Sara with her husband Jason Clancy with their sons Liam and Quinn of Fairlawn. Wally and Darlene enjoy cruising wherever the boat takes them. They also share a deep love of liturgical music often ministering together musically at masses, weddings and funerals throughout the Cleveland Diocese. Walter has a sincere desire to help those in need, especially people who have suffered a deep loss in their lives by helping them through the difficult days following the death of a spouse, a parent, a child or a friend. 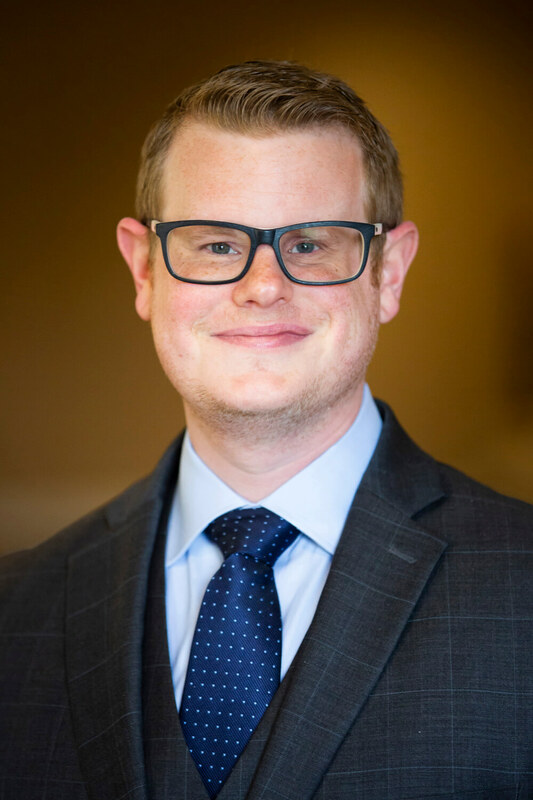 Kyle started working at Ferfolia Funeral Home in 2005 as a funeral director assistant. He grew up in Sagamore Hills, and is a 2008 graduate of Nordonia High School. After completing prerequisite classes at Cuyahoga Community College, he transferred to the Cincinnati College of Mortuary Science. Kyle graduated from CCMS with a Bachelor of Mortuary Science Degree. Following a one year apprenticeship, he received licenses for both funeral directing and embalming in May, 2015, becoming a third generation mortician. Kyle is currently a funeral director and embalmer at Ferfolia Funeral Home. He resides in Sagamore Hills, with his wife, Leah, and their dog, Charlie. In his spare time he likes to boat on Lake Erie, go fishing and take trips to Kelleys Island. Kyle enjoys all things food, whether cooking at home for his wife and their dog, or trying something new on an adventurous night out. Most importantly, Kyle is dedicated to his vocation of guiding families through the difficult and emotional experience of personal loss. Christian, 25, has been serving at Ferfolia for three years, and is currently completing his apprenticeship. Originally a Brecksville resident, Christian attended Brecksville Broadview Heights High School. He then attended John Carroll University, where he studied Cell and Molecular Biology as well as Chemistry, graduating with Honors. It was also during his time at JCU when Christian joined the Knights of Columbus, helped reactivate Council 8320, and became a Fourth Degree Sir Knight. Christian is also an accomplished pianist and vocalist, and performs across a number of Cleveland venues, as well as his home parish of St. Basil the Great. Christian is a supporter of the Animal Protective League, and is a proud owner and friend of his cat, Eva. 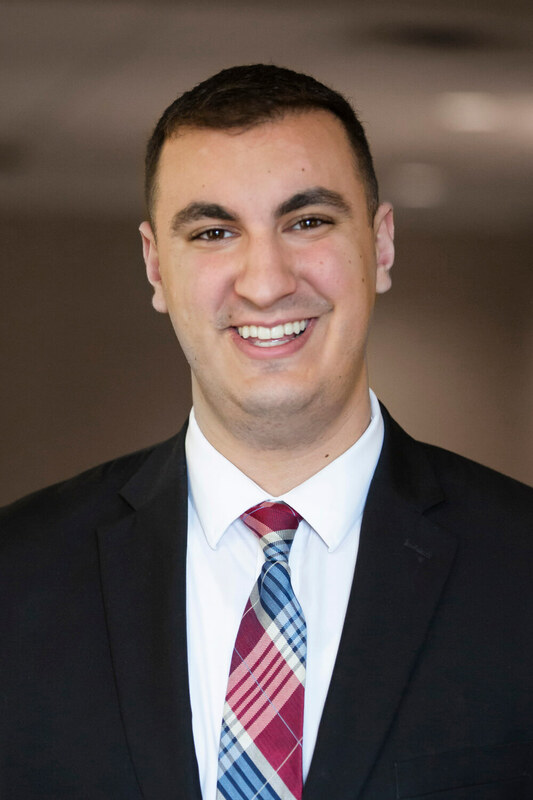 In his free time, Christian enjoys cycling in the Metroparks, kayaking the Cuyahoga River, reading, and spending time with family and friends.